Every blogger knows that comments and feedback are important for their website. It’s a part of our online activity if we have an online business. If feedback can be helpful comments are critical. It’s not the same thing. In this post I would like to talk about the difference between comments and feedback and how you can get both of them. I also would like to note here that though comments are important answering them takes a lot of your time. From my experience I can tell answering comments on my site always takes a lot of my time that I could spend on other things like creating new content or recording videos for my youtube channel. But we have to get comments and answer them because they add value to our sites and increase trust between us and our website audience. As you know, trust is a huge factor when it comes to relations between people and especially when it comes to online business. Because people that come to your website don’t know about you. When they see comments on your site, your interaction with other people they start to trust you. Also, keep in mind that when visitors come to your website and don’t see any interaction (comments) they go to other sites where they can read what other people say and think. This is really important for your online presence. That’s why I always pay attention to my site comments and try to answer them properly and in due time. If you visit high traffic sites you will notice that they always have a lot of comments almost on all their pages. According to MOZ comments is just one of ranking factors that can improve your website presence in the eyes of Google and internet visitors. That’s why don’t underestimate the power of comments on your website. 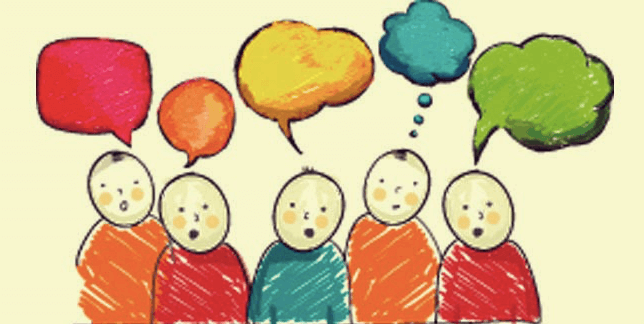 What is the difference between feedback and comment? There is a big difference between website feedback and website comment and I would like talk about it within my post. Because some people still don’t understand it. Feedback applies more to your website in terms of improving it, in terms of design, usability, structure or any other part of your website that needs to be improved or changed. Because your main goal is to create a user friendly website and provide the best value you can. You get feedback, then critically low at your site and do the changes. At the end you get an excellent website with much better conversion rate. As you probably know conversion rate is very important for your website sales. A poorly converting site can get a lot of traffic and no sales while well converting site can get a lot of sales even with a few hundred visitors a day. That’s why website feedback is very important for your online business. Comments is when you have comments at the end of your post from visitors that visit your website. They visit your website, read your content and leave their thoughts if they like your content or have something to say. Sometimes you can get kind comments and sometimes people may disagree with you. This is very normal. The more content you have and the better you write the more comments you can get. And the more comments you have the more trust you gain from your visitors. This is important in terms of making more sales which is the ultimate goal of any website owner. 1. From search engines. Search engines is the best method to get real comments from real people. Search engine is a highly targeted traffic and you have a good chance to get quality comments from people that come to your website. People that come from search engines are interested in your content and most likely to leave comments on your website. But this method takes time and continuous effort. Of course, not every visitor is going to leave a comment on your website but some of them will do. The more traffic you have the more comments you will get. 2.You can get comments from forums. All you need for this to accomplish is create free accounts on different forums and actively participate in forum discussions. If you do it naturally you can leave your website link and some people will visit your site and leave comments. There will be no flood of comments but you can get some. 3.You can get comments from places like Quora, Yahoo Answers. Quora and Yahoo Answers are both high traffic places the you can help people by answering questions and helping folks. I can’t tell you will get a ton of traffic but you can get some quality traffic and comments. 4.From other high traffic authority blogs. If you run a blog you probably read other blogs too. If you want to grow your blog you have to read and learn from other experienced bloggers in your niche. Authority blogs always have a ton of traffic thanks to their high quality content. You can read their blogs and leave quality comments. When leaving quality and thoughtful comment you can put a link to your blog. This will bring you some traffic and possibly comments. 5.From your email subscribers. It’s an established fact that email marketing is a very powerful thing and if done the right way can significantly increase your traffic. Your subscribers are people who already subscribed to you because they love your content. Once you publish new content and they get notified many of them will visit your site to benefit from your content. Since they are your subscribers that trust you they are most likely to leave comments on your website. 6.From Youtube. Youtube can be a great source of traffic. Normally, when you upload your video to your channel you add a link to your website in the description of your video. Not always and not all viewers but some of them will visit your site and leave a comment. 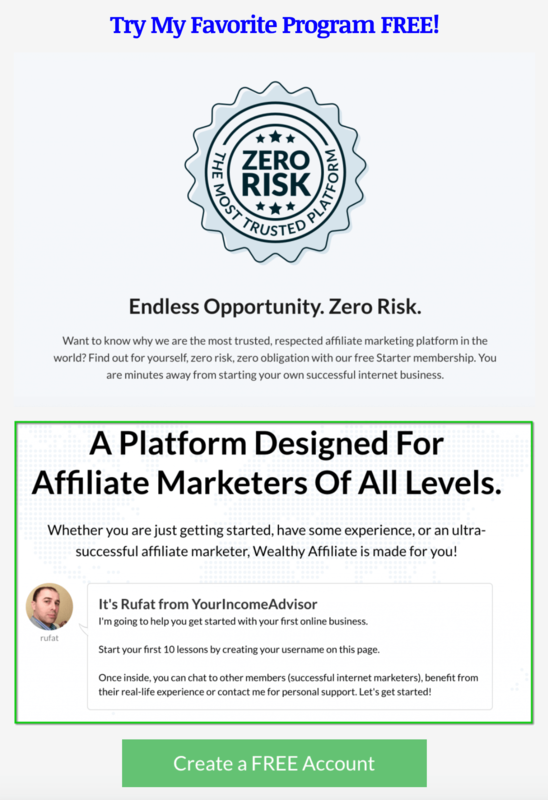 7.From Wealthy Affiliate – the best affiliate marketing platform. This place is awesome. You can join this online business platform and start with a free account. Upon joining you can get access to free lessons and try some affiliate tools. You can chat with other members and ask questions if you have any. You can stay as free member for as long as you want. It’s highly recommended to upgrade your free account to a premium membership. Premium membership will give you access to a high quality affiliate marketing course and you will learn how build a website and monetize it. You will also get access to the best support that I know exist on the internet. The main thing here is SiteComments and SiteFeedback. When you start your first website and not sure if you are doing it right or wrong or any other thing you can ask for feedback from other members of WA. Many of them are experienced affiliate marketers and believe me their feedback will help you improve your website and your business. This feature is simply awesome for new affiliate marketers. All this included in your premium membership. But remember to offer feedback first before asking for feedback. 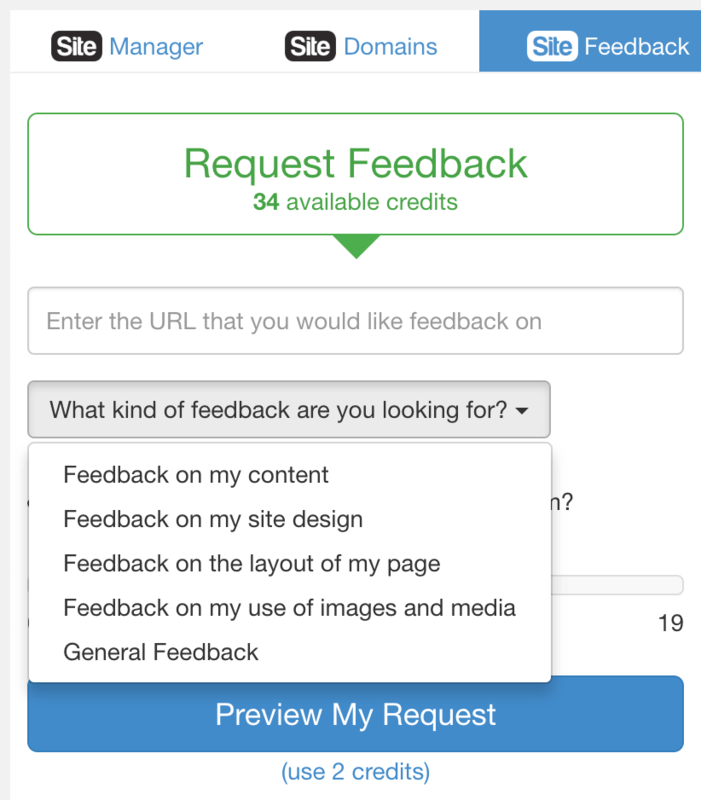 You can ask for feedback on your content, site design, images and media, general feedback. 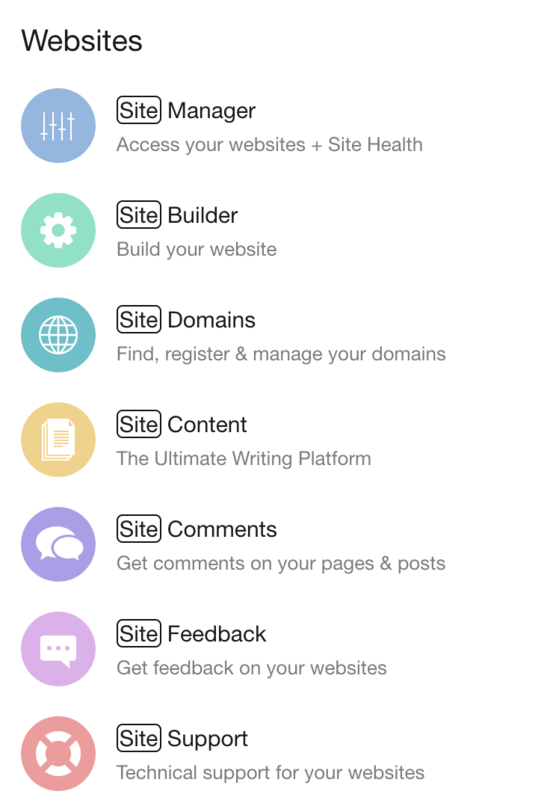 SiteComments is the most valuable feature that allows you to turn your dead website into a super engaging place. Remember, comments will add a great value to your website and it will increase your site trust significantly. In this section you can ask for comments and offer comments to other members as well. Before asking for comments remember to offer comments to other members. With this awesome feature you can get a lot of comments and engagement on your site and increase not only your site trust but improve your website rankings as well. You can get all types of comments because members of WA have different websites in different niches. Many members have more than one site. So, it’s not difficult to get comments related to your niche. 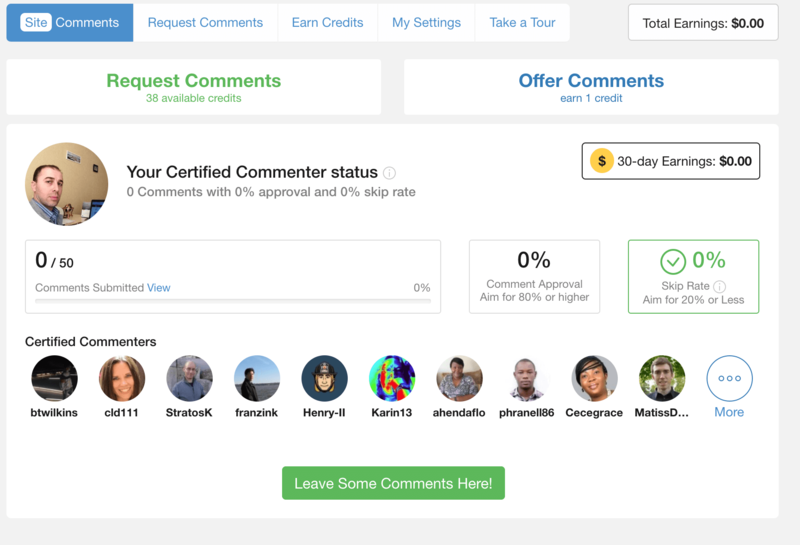 You can even earn money by leaving comments to other members. As you can see, this place is awesome. You can get not only comments and feedback on your website but you can also get other tools and knowledge required to build a successful online business. I used this platform to grow my business and recommend you to try it. The good news is that it is free to start. Feel free to ask questions if you have any and I will help you get started on the right foot. Thank you for this article on web site feedback and web site comments. I never knew there were so many different ways to get comments on your web site. Is there a way to know how much comments and site feedback will help your site in ranking on Google?. Also is it the more the better or is there an amount that is too much?. No, there is no an exact formula to know how many comments will rank you site. You just do what you have to do anyway but results are not guaranteed. Your comments must be natural. I’ve seen sites outranking mine though I had way more comments. So, it’s hard to tell anything regarding number of comments. Hello Rufat,Thank you for explaining the difference between feedback and comment. I’m struggling with obtaining comments on my website since most of my visitors just read articles and almost never leave any comments.It is good to know that using the Site Comment platform from WA really helps a lot on the trust rating of my website. Right now I did request comments from WA platform and I saw an increase in organic visits. Awesome article. That’s true Francis. Most people that visit your site will never leave comments. This is very normal. People that come from search engines very often don’t leave comments. Those high traffic sites that you see with a lot of comments get those comments from their subscribers. Just continue using Sitecomments feature at WA and over time I hope your site rankings will improve. Ranking is a combination of many factors, such as comments, content, optimization and many other factors. I agree with you about the importance of getting comments on our sites. I have seen the ranking of my posts raise overnight when I get good comments. I also get comments from the Site Comments platform on W.A. It is definitely the best place to get comments and much faster than waiting for organic comments from other sources. I have almost 1000 comments on my website and most of them are from W.A. If I have an old post and I want to revive it, I go request some comments for it and the ranking will rise quickly. Thanks for all these other suggestions for getting comments as well. Yes, sometimes your site rankings can improve as a result of getting high quality comments. But this doesn’t work equally for everyone. Regarding WA sitecomments feature it’s really great. You can get comments in a matter of minutes and as many as you want. But you have to actively particpate in sitecomments and leave comments on other sites of WA members. I also do so like you do it. Sometimes I request comments for my old posts. It’s a great feature. Thank you for this great post I find it really interesting and nice .You have really put in a lot of energy in writing this and I really appreciate that. You have provided great insights into how to get feedbacks and comments, I also love the way you outlined the difference. I am very sure newbies will find this post really helpful. Ever since i joined wealthy affiliate; my blog has been having good comments which makes me have more paassion for blogging. Many like and including me took advantage of this great service. Thanks to it I was able to get over 4000 comments on my blog. Of course, a good number was from search engines but most from WA platform. This is actually a brilliant post about how to get site comments and site feedback and it really does explain the difference, but more importantly what really stood out to me was all the various ways you listed to go about obtaining Site Comments. I had forgotten about these methods and was happy to jog my memory from your wisdom. Thanks again! Yes, actually there are many ways to get comments and feedback. If you spare some time you will get a good number of comments. But it would be great if you can focus on WA platform. This way you can get a ton of comments on your blog. Great post Rufat, site comments is a definite requirement if you are going to gain that all important ranking in the search engines. I have to admit though I hadn;t realised there werew so many ways to get them. I have bookmarked this page and will make sure I have all bases covered. YouTube seems to be a big one so I think I will get that up and running first as well as get onto some expert forums etc. Yes, I recommend to focus on creating youtube channel. You can get a ton of comments. But most of them will be posted on your channel, not your site. Anyway it will have some SEO effect for your website too and some viewers will also visit your site.